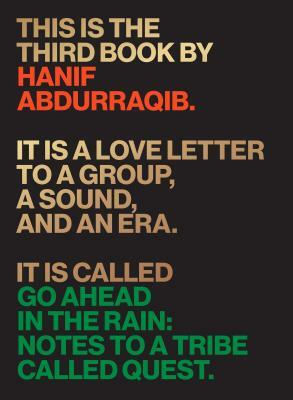 One of the vital voices at work today, as a poet, essayist, and cultural critic, Hanif Abdurraqib is here for what should be a memorable evening with a new book that is already a hit with critics and readers, Go Ahead in the Rain: Notes to A Tribe Called Quest (University of Texas Press). In this, the author of They Can’t Kill Us Until They Kill Us (essays) and The Crown Ain’t Worth Much (poems), writes of the visionary music group that help transform rap over twenty years ago. "[R]iveting and poetic‚ Abdurraqib's gift is his ability to flip from a wide angle to a zoom with ease. He is a five-tool writer, slipping out of the timeline to deliver vivid, memoiristic splashes as well as letters he's crafted to directly address the central players, dead and living." - Washington Post. "Abdurraqib explores and exposes the power of music, of art, to not just connect with people, but to connect people, to make movements, to inspire change and revolution, on levels both large and small. In powerful, poetic language, Abdurraqib makes clear the legacy of ATCQ, both the one the group called upon for their own creation and the one they left behind." - Nylon.